Combinatorial Optimization, Computer Networks, Optical Networks, Wireless Networks, Cloud Computing. 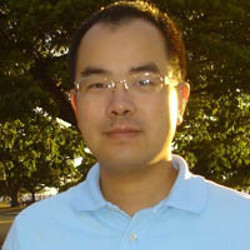 Dr. Zhu specializes in algorithms, in particular computer networks design, optimization, and measurement. His main interest is developing the reliable and user-oriented next-generation telecommunication networks to support current and future applications. Current research work focuses on (1) reliable and survivable optical multicast in flexible-grid networks; (2) Location-based Service in wireless networks, (3) Approximation algorithm development for Big Data and Cloud Computing; and (4) Energy-efficient network design. Teaching is challenge but also awarded work to Dr. Zhu. Dr. Zhu does love to share the research as well as real-world examples with students during his lectures. He does love to make students well-prepared for their future study, future job, and future life.